F.H. (Frederick Horsman) Varley saw art as a spiritual vocation. 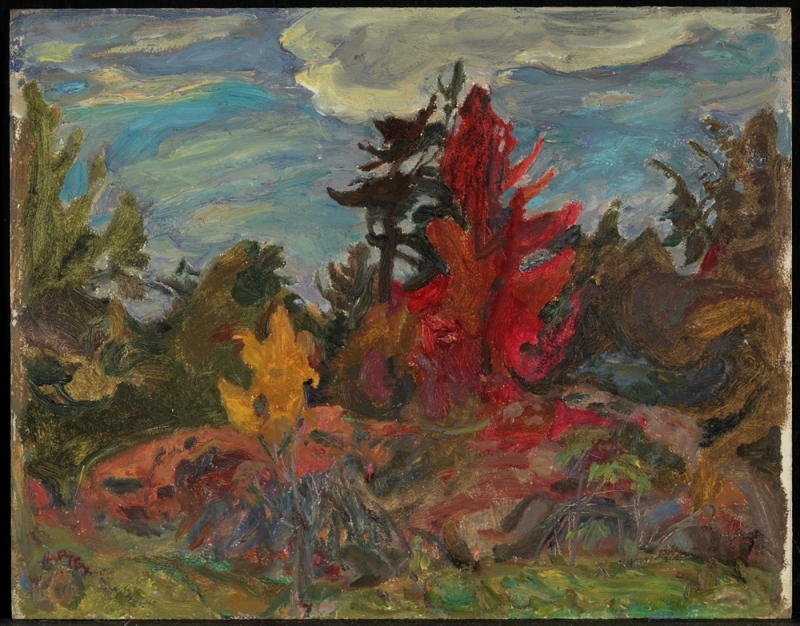 His interest in the figure as well as landscape set him apart from other members of the Group of Seven, of which he was a founding member (1920). At the age of eleven, Varley enrolled in the Sheffield School of Art, and between 1900 and 1902 he studied at the Academie Royale des Beaux-Arts in Antwerp. 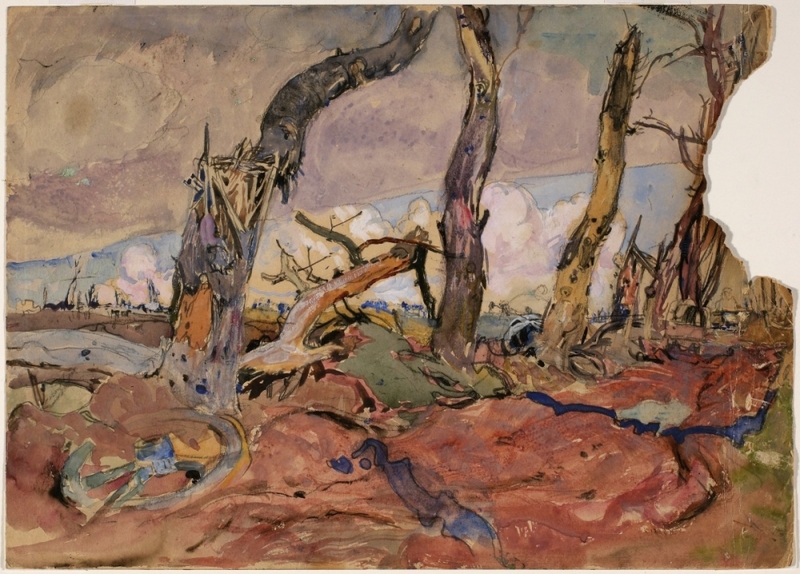 He emigrated in 1912 to work as a commercial artist in Toronto, following in the path of Arthur Lismer, also from Sheffield. There he met the future members of the Group of Seven and painted in Algonquin Park in 1914 with Tom Thomson and others. In 1918-20 he served as a war artist in England and France, producing some of the most moving canvases of the war. One of Varley's most famous works is Stormy Weather, Georgian Bay (1921), painted after a summer at Georgian Bay, yet he was primarily a figure and portrait painter. 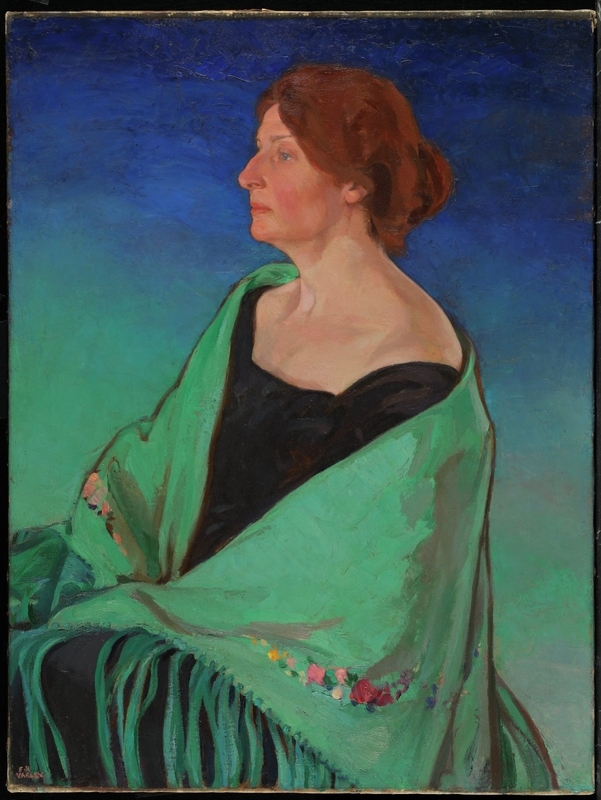 In 1926 he moved to Vancouver to teach at the recently established Vancouver School of Decorative and Applied Arts, and for the first time landscape painting, in oil and watercolour, became his principal interest. His attraction to Asian philosophies and Chinese painting and colour symbolism characterizes his paintings from this period. Severely affected by the Depression in 1936, he left British Columbia for Ottawa, eventually moving to Montreal and then Toronto in 1944. He travelled to the Arctic in 1938 and to the Soviet Union in 1954 with a group of other Canadian artists, writers, and musicians. We don't have enough data to properly assess this artist's current investment potential.